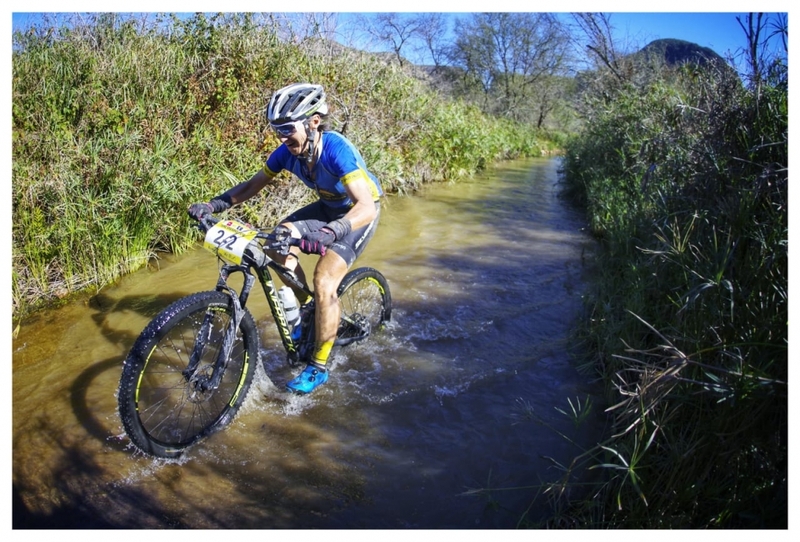 The Langwater is one of the Trans Baviaans’ iconic features and proves a great leveller – everyone even the elite riders like Theresa Ralph and Sarah Hill get their feet wet. Photo by Jacques Marais. In the first weekend’s Race; the records tumbled with the Men’s, Women’s and Mixed Category course records being smashed, in perfect weather and road conditions. There was no lack of drama either however as the race leaders took a wrong turn and the CSA commissaire stepped in to share the victory and new record time between the DSV Pro Cycling team of Gert Heyns and Arno du Toit, and the Insect Science Garmin pairing of Timothy Hammond and Ben Melt Swanepoel. Hammond and Swanepoel had crossed the finish line first, but Heyns and Du Toit had been leading the race for close on 200 kilometres when they went wrong. The results in the Women’s and Mixed Categories were fortunately less controversial; with Galileo Risk’s Theresa Ralph and Sarah Hill breaking Ralph and Amy McDougall’s course record by nearly an hour, and winning by well over two. Perennial Mixed Category champions’ Yolande de Villiers and Neill Ungerer, of Ultimate Cycling Knysna, knocked half an hour off their own record and finished an impressive seventh overall on their way to their sixth category win. 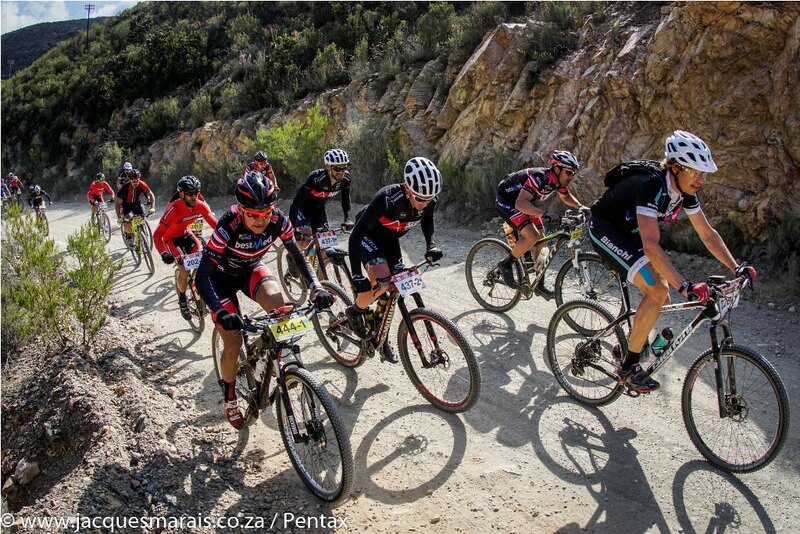 Ultimate Cycling’s Neill Ungerer leads the Repeat field through Poortjie. Photo by Jacques Marais. While the elite riders racing for category glory gained the majority of the attention the less competitive mountain bikers in the field also enjoyed a successful day out. The perfect conditions led to many a personal best and in total 389 teams and 1 057 individual riders finished the event. The fastest time was that of Hammond and Swanepoel; 7 hours, 51 minutes and 6 seconds. While the final finisher crossed the line at the Fountains Mall, in Jeffreys Bay, just before 8am on Sunday morning in a time of 21 hours, 51 minutes and 8 seconds. Eerily then there was an almost exact 14 hour time difference between the winners and the final finishers. 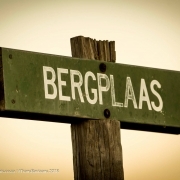 Reaching Bergplaas before sunset is an achievement worth celebrating. Photo by Jacques Marais. The prize giving on Sunday morning after the Race saw the remarkable achievements of Berend Maarsingh and Dane Walsh honoured. 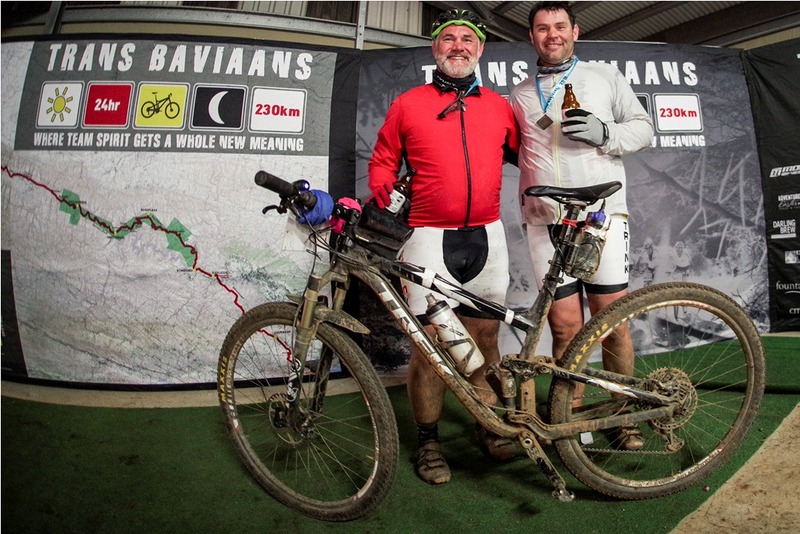 The pair has each completed all 15 Trans Baviaans events to date! Gert Heyns off the front of the Trans Baviaans Race field. Photo by Jacques Marais. 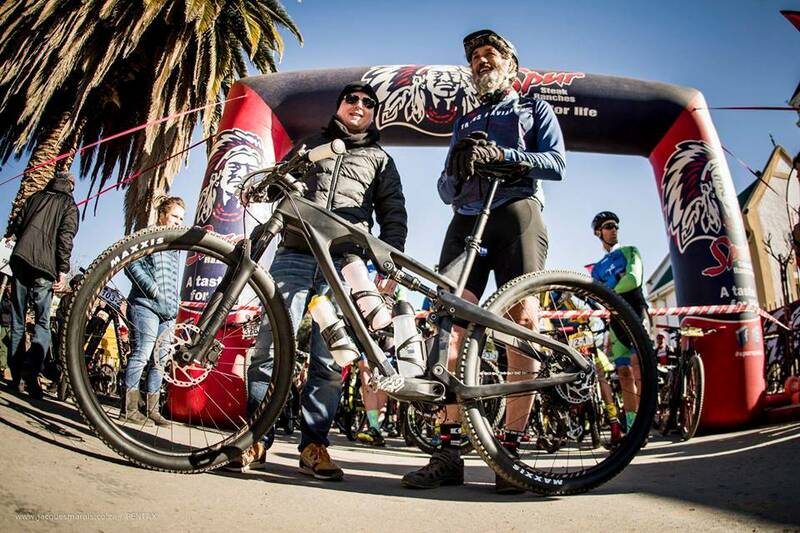 Victor Momsen and Wikus van der Walt pose with the brand new Momsen Vipa Ultra which Wikus rode during the Trans Baviaans Repeat. Photo by Jacques Marais. 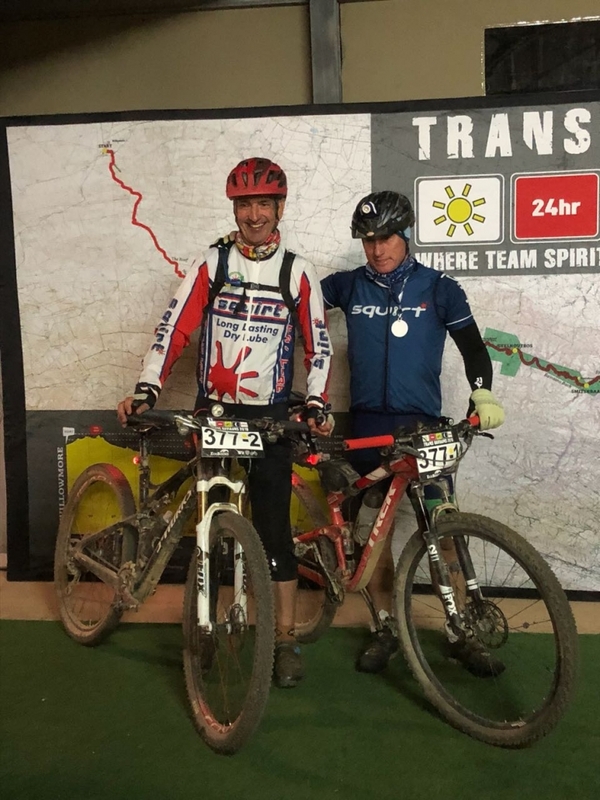 The story of the Trans Baviaans Repeat was that of event founder Wikus van der Walt taking the opportunity to ride the race he started fifteen years ago for the first time. 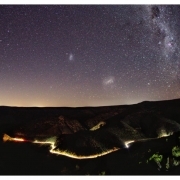 Riding alongside John Sharples – his long-time friend, stage race partner and the man with who he recced the To Hell and Back route with 23 year ago – Wikus completed the 230 kilometre route in a commendable time of 13 hours, 25 minutes and 53 seconds. Hannele Steyn smiling all the way up MAC. Photo by Jacques Marais. 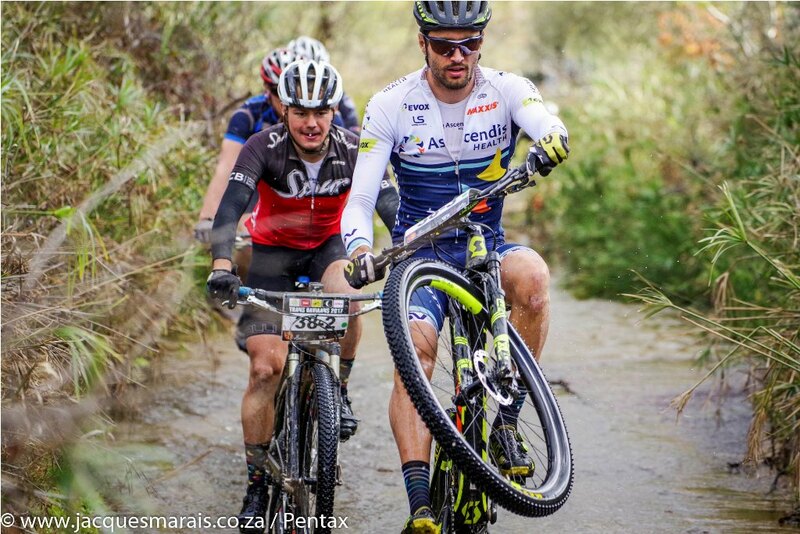 At the front of the Repeat there was another decisive wrong turn, by Ignus Oosthuizen and Jaco Davel which handed the victory to Johan Coetzee and Gys Malan in the Men’s race. The Mixed category saw Yolande de Villiers double up, claiming the Repeat title after the Race the weekend before alongside her husband Henties and the rest of her East Coast Cycles team; Kevin Taljaard and Wynand Mulder. The Women’s Repeat title was taken back to the Free State by Cherise Odendaal and Ilse Nel, riding as the aptly named Trans Vrystaat team. Trail runner AJ Calitz took on the Trans Baviaans challenge and finished in 16th overall, alongside Brett van Coller. Photo by Jacques Marais. In total 367 teams finished the Trans Baviaans Repeat which equated to 1 047 individual riders; and while the winning time of 8 hours, 55 minutes and 44 seconds was over an hour slower than the Race’s winning time the final finishers’ time of 22 hours, 9 minutes and 15 seconds was just 18 minutes slower. Crossing the finish line at the Fountains Mall can be an emotional experience. Photo by Jacques Marais. 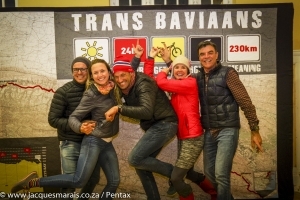 The 16th edition of the Trans Baviaans will take place on the second and third weekends of August 2019. Entries are once again capped at 1 250 rides in teams of 2, 3 or 4. Entries to the iconic events will open on the 3rd of December 2018, for the Race, and the 4th, for the Repeat. Beer, glorious Darling Brew beer, for every finisher. Photo by Jacques Marais. 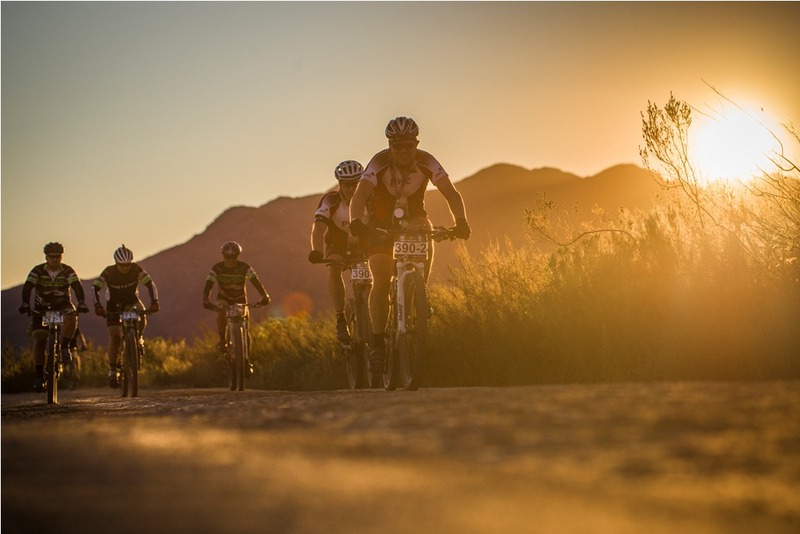 The 16th edition of the Trans Baviaans 24 hour mountain bike Race and Repeat will take place on Saturday the 10th and Saturday the 17th of August 2019 respectively. The event entries will once again be capped at 1 250 riders per event and riders will be able to take part in teams of 2, 3 or 4. Entries to the iconic events will open on the 3rd, for the Race, and the 4th, for the Repeat, of December 2018. Entrants are encouraged to book accommodation in Willowmore as soon as possible as the village can only accommodate a limited number of visitors and the closest locations to the start line, at the church hall, fill up fast. For more information please visit www.transbaviaans.co.za. Preparing for the night phase of the race, by redressing at Bergplaas is one of the rituals of the Trans Baviaans one can only understand once you’ve ridden the event. Photo by Jacques Marais. Jacques and Rohan Herselman celebrate finishing the Trans Baviaans in style. Photo by Jacques Marais. Riding in one of the largest wilderness conservation areas in Africa as the sun sets is a truly unique experience. Photo by Jacques Marais. 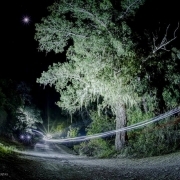 The Trans Baviaans Repeat is the second edition of the famous 230 kilometre long ultra-endurance race through the Baviaanskloof. Taking place the weekend after the Race, on Saturday the 18th of August, the Repeat may lack an elite field but it more than makes up for that with an exceptional spirit among the riders and their supporters. 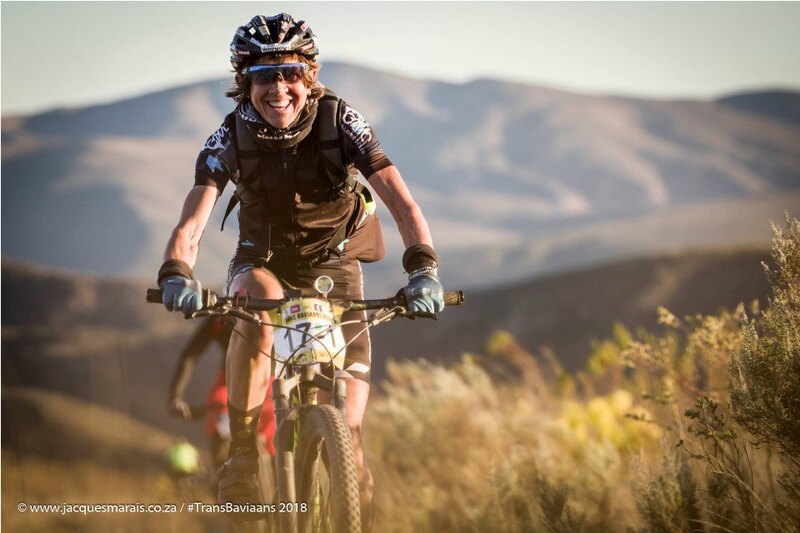 Yolande de Villiers rode to her second Mixed Category victory in as many weeks in the Trans Baviaans, following up her Race win with the Repeat title. Photo by Jacques Marais. For the second weekend in a row a wrong-turning, by the race leaders, provided the decisive and most drama filled moment of the event. This time though there was no need for the race commissaire to get involved; the leaders on the road, Ignus Oosthuizen and Jaco Davel, simply missed the turn off to Jeffreys Bay. The pair had held the lead since Check Point 2, 104 kilometres into the race, when the large peloton of riders who had covered the relatively easy early kilometres together started to break up. 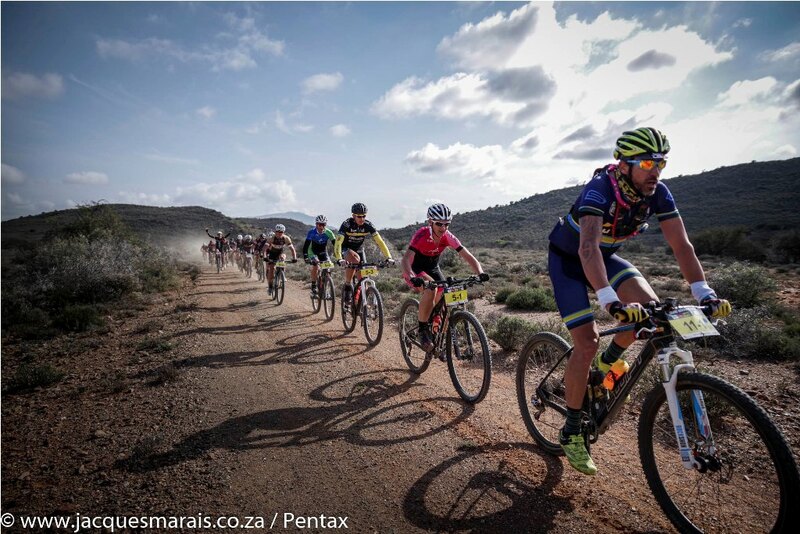 Powering over the Baviaans Back, the Fangs, MAC and Neverender, Oosthuizen and Davel managed to gradually extend their lead to twenty minutes at Check Point 7; with 27 kilometres remaining. Their wrong turn kept them on the undulating ridgeline jeep track, which takes riders up the Mini MAC and certainly helped expedite their time losses as their pursuers turned towards the coast – on long, flowing downhill district road. The primary beneficiaries of this were the Cadence Tygervalley team of Johan Coetzee and Gys Malan. The pair did however not realise that they had moved into the lead until they reached the finish line at the Fountains Mall. Upon hearing Paul Valstar announcing that they were riding home to claim the Trans Baviaans Repeat victory they were taken completely by surprise. Behind Coetzee and Malan there was a sprint for second between Spur C4D’s Jacques van Staden and Marshall Hendricks and the ESA Partner combination of Garth Ennion and Leon Erasmus. Van Staden and Hendricks had put in a strong ride over the final 60 kilometres and kept the ESA Partner pairing in their sights throughout that time – eventually setting up a sprint after nine hours of racing. In the Mixed Category the East Coast Cycles quartet of Kevin Taljaard, Wynand Mulder, Yolande and Henties de Villiers claimed another Repeat title. 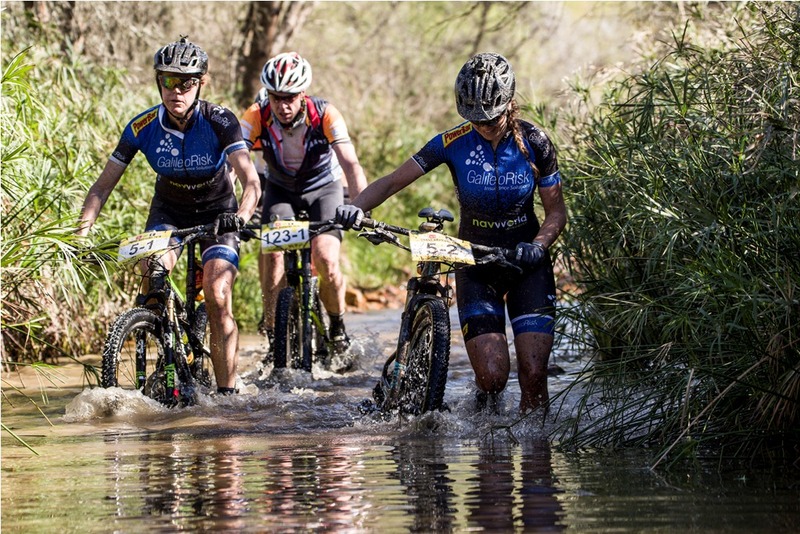 Taljaard and Yolande de Villiers had finished second and first in the Trans Baviaans Race in the Mixed Category the weekend before; and were ecstatic to retain their title in the Repeat. Henties de Villiers meanwhile does not manage to make as much time to train as his wife and battled valiantly to ensure he clung to the wheels of his powerful teammates. Trans Baviaans founder Wikus van der Walt in action on the Momsen Vipa Ultra. 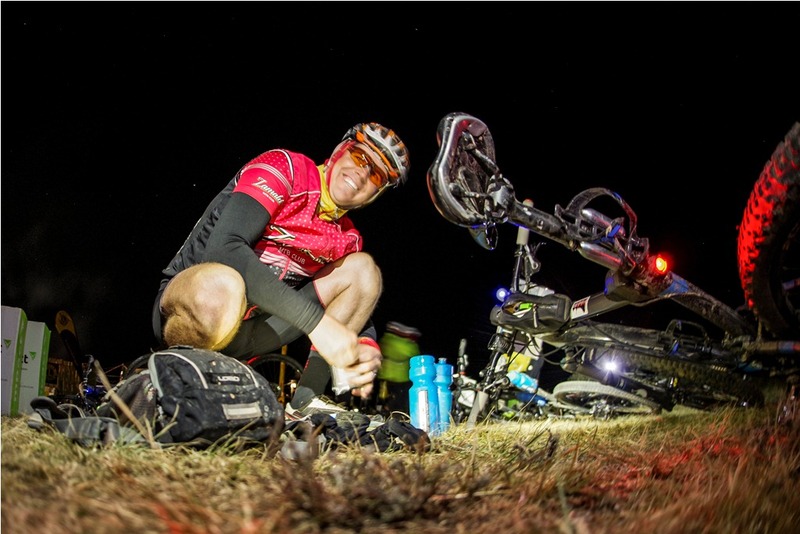 Van der Walt and Sharples completed the event in a time of 13 hours and 23 minutes. Photo by Jacques Marais. 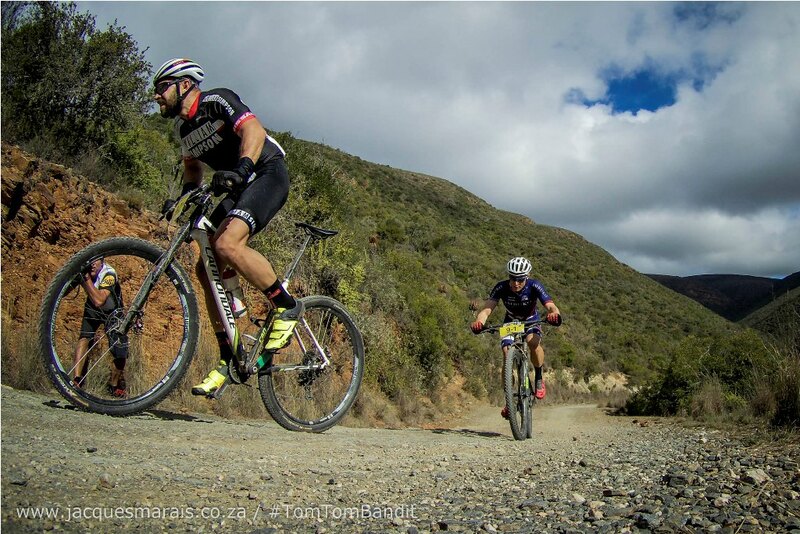 The sub-plot to the Repeat was undoubtedly Wikus van der Walt riding his first Trans Baviaans. After fifteen years of organising the event the founder eventually got his chance to experience it for himself, alongside his long time stage race partner John Sharples. Van der Walt rode the new Momsen Vipa Ultra for his Trans Baviaans adventure and was exceptionally impressed with the bike. “It descends very well and I’m sure my struggles on the climbs were more down to my legs than the bike” Van der Walt joked upon finishing. Stephen Drew (left) and Jeffrey Willcocks (right) inspired all around them by finishing the Trans Baviaans Repeat. Photo by Craig Giese. 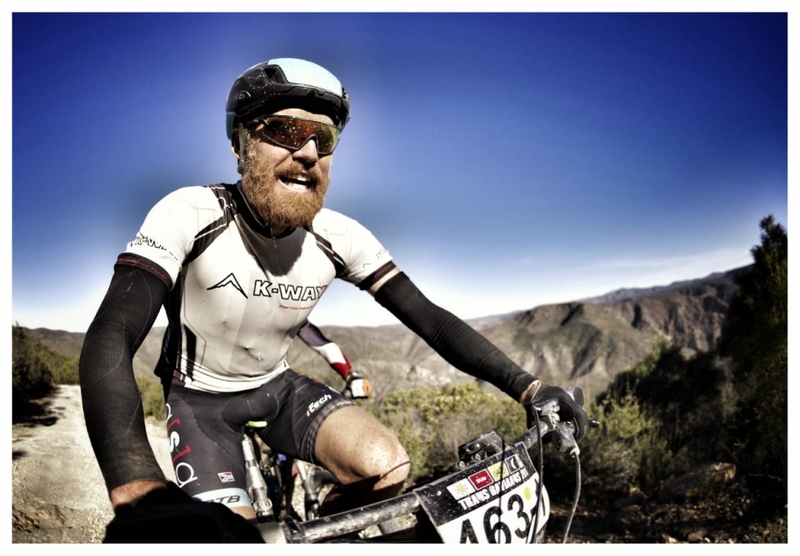 Another hero of the Trans Baviaans Repeat was Stephen Drew. In recent years Drew has survived a brain tumour and then the amputation of his right leg following a motorcycle accident. Drew is an inspirationally positive character and there was never any doubt in his mind that he would be back on the bike following his accident. Equipped with a state of the art prosthetic, which was custom made in George, Drew completed the Trans Baviaans Repeat alongside fellow amputee Jeffrey Willcocks. Mountain biking fans and Trans Baviaans riders can recap on all the action from the 2018 Race and Repeat on the event’s Facebook page, Trans Baviaans. While for more information please visit www.transbaviaans.co.za. To view the full results from the 2018 Trans Baviaans Race click here. Die senuwees is besig om in te skop vir my, en ek is nou amptelik ń deelnemer van die week af! Sien julle op die Begin Streep! Make sure you print both forms and sign them! – Waiver Of Liability And Indemnity Forms. 2. Has your Bike been Serviced? We saw lots of sidewall cuts in the Race. So exercise caution when descending the Baviaans Back and Fangs in particular. Plus pack tubeless repair plugs and make sure your spare tube is puncture free. The Baviaanskloof is relatively dry, despite the recent rains. You might encounter puddles and with a bit of rain predicted for Friday morning there shouldn’t be too much dust in the air. But the rivers are running at low levels. That means the water crossings aren’t too intimidating. The most famous one, Langwater, just after Check Point 3 – is about 20-30cm deep at its deepest point. There is however a big hole on the right hand side near the end of the crossing – so keep left to stay dry. To qualify for the PowerBar segment prizes, for the fastest times along the railway line singletrack (There are prizes for the fastest man, woman, man over 90kg and woman over 45 years old), you have to join the EcoBound Strava Club. Join it by clicking here. If you decide not to use crates during the race please hand them back at registration. You receive 3 crates of 22 litres in size, one per team to Checkpoints 2, 3 and 4. Your Crate for CP4 needs to be handed in at 20:00 Friday evening at registration. CP 2&3 needs to be handed in at the Truck in front of the Royal Herberg from 07:00 to 08:30. Cable-ties will be provided to secure your contents. The race starts at 10:00am sharp! Every year we get generous donations of Books for the Willowmore Library and old Cycling gear for our development riders! There will be boxes placed at registration for you to place these items into! Thank you very much! Good luck with the last preparations! 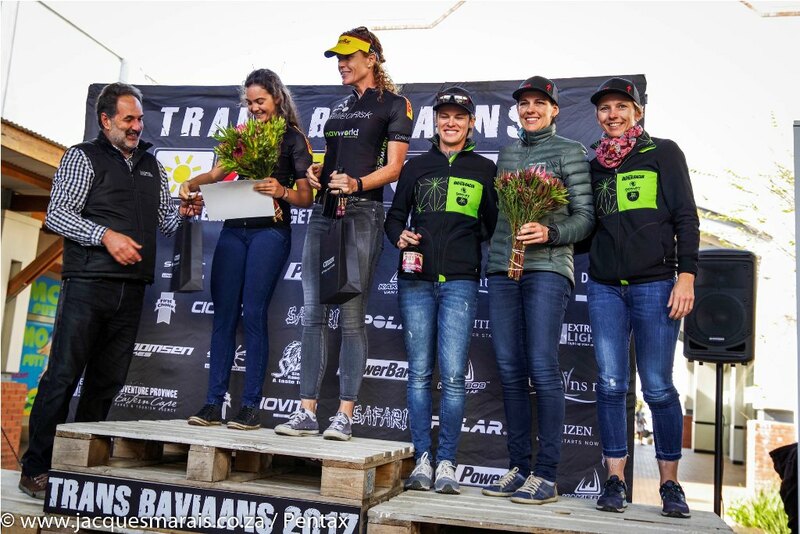 The 2018 Trans Baviaans Race, wrapped up with prize giving at the Fountains Mall on Sunday the 12th of August – but the racing action had concluded well over twelve hours earlier before the last light had faded over the Baviaanskloof. 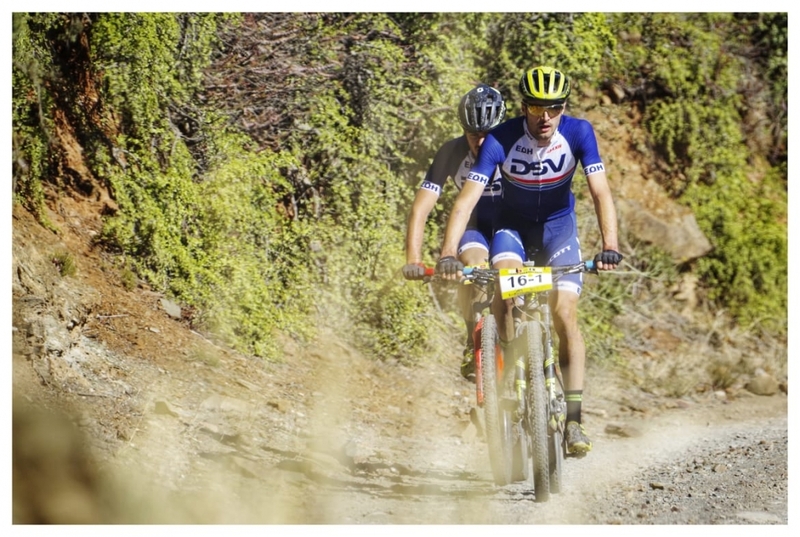 A consistent tail wind, smooth road conditions and a searing ride by DSV Pro Cycling ensured records tumbled throughout the categories in the fifteenth edition of the toughest team single stage MTB race in the world. Timothy Hammond leads Ben Melt Swanepoel up the MAC in pursuit of Gert Heyns and Arno du Toit in the 2018 Trans Baviaans Race. The Insect Science/Garmin team past the DSV Pro Cycling riders after confusion leaving Check Point 7, but the teams were awarded the joint victory. Photo by Jacques Marais. There was drama in the men’s race, outright dominance in the women’s and a legacy sealing victory in the mixed; as the racing categories were wrapped up within nine hours of the event’s start. Never have so many records been set in one event and the new men’s course record is all the more remarkable, given the teams setting it made a wrong turn. The race, which started in Willowmore on Saturday morning, was agitated from the off by the DSV Pro Cycling team of Gert Heyns and Arno du Toit. “Nobody really thought it was possible to go from the gun, so we kind of wanted to prove them wrong” Du Toit explained. The initial attack by DSV was followed by the Honingcraft Five duo, Dirkus Coetzee and Alwyn Steenkamp. Behind; Insect Science/Garmin’s Timothy Hammond and Ben Melt Swanepoel worked with William Simpson Cars’ Mike Posthumus and Derrin Smith to ensure the gap between the leaders and the chasing peloton remained at one minute. Gert Heyns and Arno du Toit spent nearly 200km in the lead of the Trans Baviaans Race, after a brave attack in the opening kilometres. Photo by Jacques Marais. Heading into the Baviaanskloof Reserve a puncture for Steenkamp cost Honingcraft Five the chance to contend for victory. This left Heyns and Du Toit alone at the front, but over Baviaans Back the Fangs and MAC the chasing peloton gradual broke apart until Hammond and Swanepoel where pursuing on their own, with Posthumus and Smith also isolated in third on the road. The leading three teams were separated by just four minutes heading into the decisive final 30 kilometres. Disaster struck for all three the leading teams just after the final check point when they were diverted them from the unmarked Trans Baviaans route onto a permanently marked route in the Zuurbron Bike Park. Hammond and Swanepoel were first to realise that they were off the route and back-tracked, managing to maintain their position ahead of Posthumus and Smith. Heyns and Du Toit however were not as fortunate and ended up losing their lead. Posthumus and Smith also regained the correct route ahead of the DSV pairing. “Everyone got lost in Zuurbron” Posthumus explained. “Then heading home we saw Gert (Heyns) and Arno (du Toit) [riding through] the bush so we waited for them and rode home for them” he elaborated. Given the nature of the obstruction and the time losses all the teams suffered, the race commissaire adjudged the obstruction in the route to have hindered riders’ ability to determine the correct route and thus awarded the victory jointly to DSV Pro Cycling and Insect Science/Garmin. The unfortunate outcome should not detract from the amazing rides both teams put in however. “They (Heyns and Du Toit) went from the start. It was an incredibly brave ride, I’ve never seen anyone go from the start like that” Hammond praised his rivals, upon crossing the finish line first. The MAC, or Mother of All Climbs, is one of the primary obstacles between Willowmore and Jeffreys Bay. Photo by Jacques Marais. The Insect Science/Garmin combination’s ride was likewise one for the history books; as they kept DSV in sight from the Fangs to the turn off to check point seven. Hammond was the reigning course record holder, for the route which finishes at the Fountains Mall, but he and Swanepoel smashed over twenty five minutes off that time. The pair stopped the clock in an astonishing time of seven hours, fifty one minutes and six seconds – a time which was retrospectively also awarded to Heyns and Du Toit. The third placed team of Posthumus and Smith crossed the line shortly after Heyns and Du Toit, having gallantly declined to contest the sprint – given their rivals’ loss of time in the confusion after check point seven. The William Simpson Cars’ riders still managed to beat the sun too though, breaking the eight hour mark by three minutes. The record breaking feats were even more remarkable in the women’s race were Theresa Ralph and Sarah Hill took fifty eight minutes off Ralph and Amy McDougall’s 2016 record time. The Galileo Risk riders rode a flawless race. “Everything went perfectly today” Hill said afterwards. “We always stayed slightly uncomfortable. We agreed on a scale system before the race, and we kept communicating, staying at a level eight” she explained. The pair has now defended their Trans Baviaans title as a team while Ralph added a third successive Race victory to her palmarès. They were keen to play up the event to their fellow elite women’s mountain bikers too. “Women’s mountain biking has really picked up in the last couple of years” Ralph started. “And we love the competition between the ladies, and actually we’re all friends. So it would be nice if they could come and join us, we could have a more competitive race and then we could all have a beer together at the end. It would be marvellous if other ladies could come give us some gears” the Galileo Risk champion enthused. 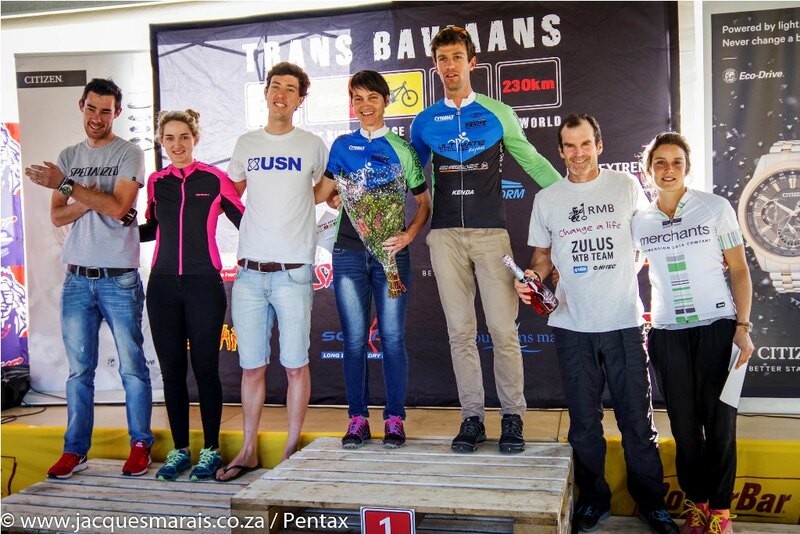 In the mixed category the seemingly undefeatable combination of Yolande de Villiers and Neill Ungerer, riding in the colours of Ultimate Cycling Knysna, continued their undefeated run at the Trans Baviaans. The 2018 Race marks their sixth successive category victory and their second as a two person team, having won the first four with the able assistance of Johan Labuschagne. “I felt like I died seven times out there, especially on the Fangs,” de Villiers half-laughed half-grimaced after securing the victory. “Neill (Ungerer) was a machine out there” she concluded, heaping praise on her partner. The pair’s time of eight hours, twenty three minutes and nineteen seconds was twenty minutes faster than their own previous course record. Despite blitzing the course they were not really aware of just how fast their time was until the final phases of the race. “We went through this last little dip, at Mooidraai, and it was still light. I thought: ‘what’s going on here? Did we start earlier’” Ungerer revealed. “It was a long day. 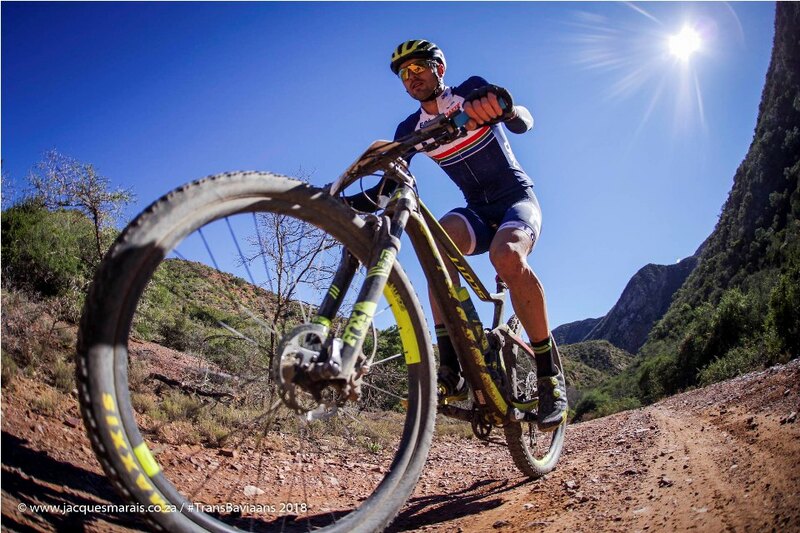 But a fast day” he concluded with a smile, clearly ecstatic to be able to put his feet up early ahead of his second attempt at the 230 kilometre long course next weekend – in the Trans Baviaans Repeat. 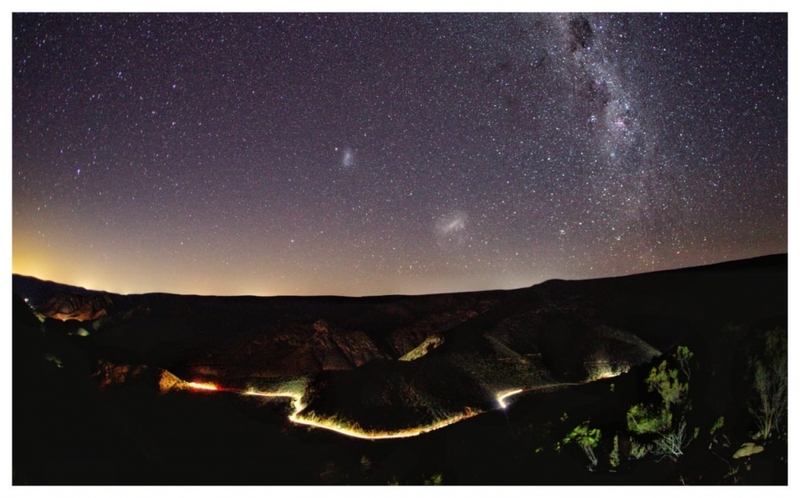 Riding into the night, in the depth of the Baviaanskloof Mega Reserve where light pollution is non-existent, is one of the highlights of the Trans Baviaans for the non-elite riders. Photo by Jacques Marais. With snow on the mountains this year’s Trans Baviaans Race looks set to be a chilly one. 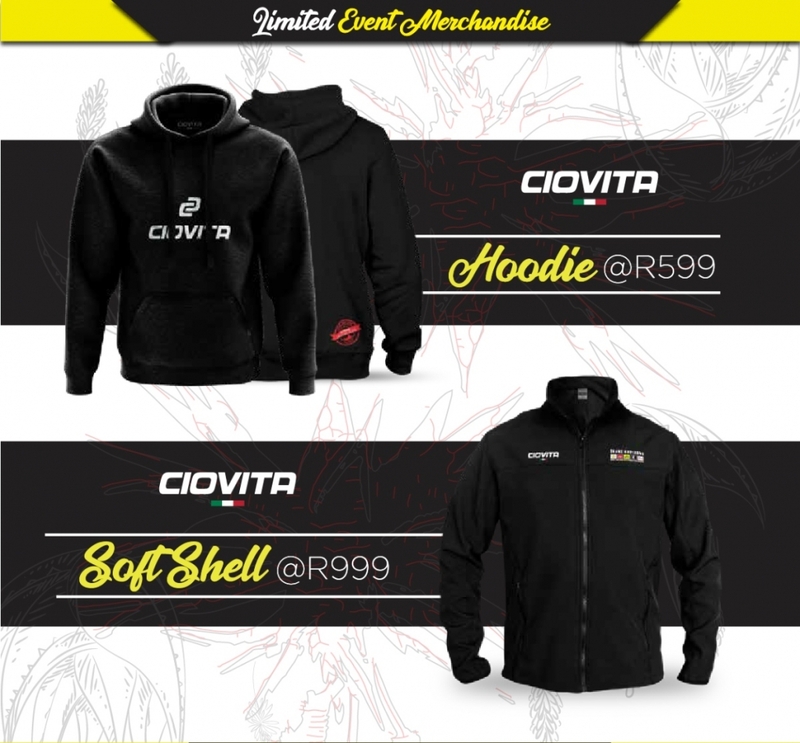 So we got our friends at Ciovita to put together a list of must have items and advice, to go along with their Trans Baviaans apparel, which will see you through the Baviaanskloof without losing any appendages to frost bite. Wearing a base layer will help lock in your body heat and keep your core warm by wicking away moisture from your skin. 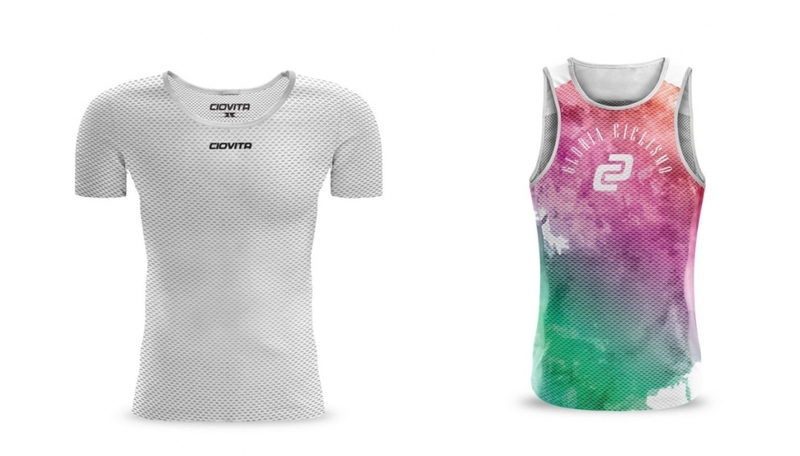 Click on your preferred cut to take a look at the Women’s and Men’s base layers on the Ciovita website. Arm and leg warmers are the way to go at the start if you are unsure of how hot you might get through the middle of the day. You can always whip them off at a check point if you start to heat up, or in the case of the arm warmers just allow them to bunch up around your wrists. Just don’t drop them in a check point box, because you’ll definitely need them when it gets dark! Aside from the Trans Baviaans branded arm warmers you’ll also be able to purchase Ciovita’s standard Arm and Leg warmers at registration on Friday. A long sleeve jersey in your check point three or four box, depending on where you expect to be when night falls, will provide you with a bit more warmth for the cold winter night. It’ll also help you start the night phase of the race psychologically on a high being warm in a fresh top. A fresh base layer is another winner ahead of the night phase, as is a set of leg warmers if you don’t already have them on. 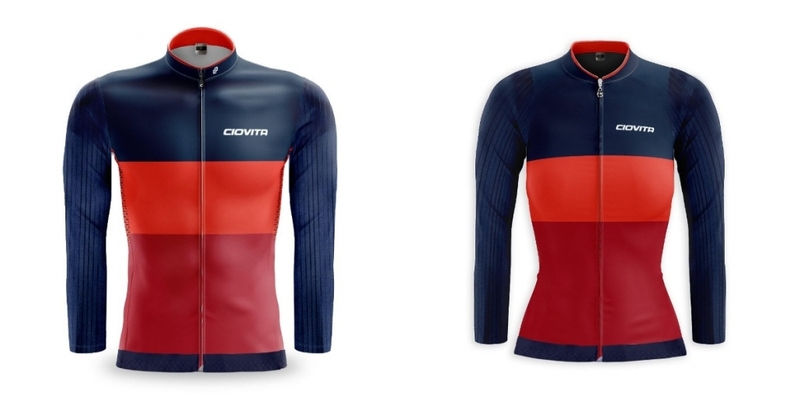 Ciovita have you covered here with long sleeve jerseys, in Men’s and Women’s cuts. 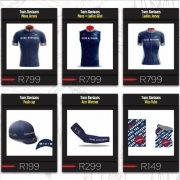 Now we would obviously love to see 1 250 riders rolling out of Willowmore decked from head to toe in Trans Baviaans kit. It would look great in the photos and to be fair you’d look great because we think Ciovita knocked it out of the park with their designs for this year too. But we know that if you can only buy one emergency cold beating item then the Vindex 2-in-1 Jacket/Gilet should be it. 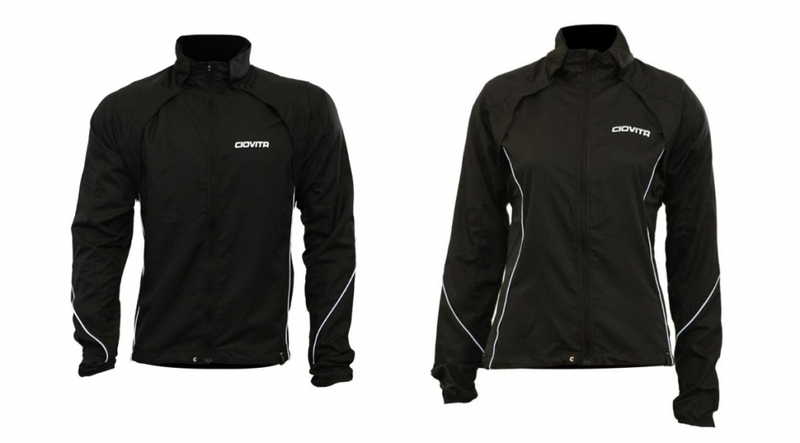 Available in a Men’s and Women’s cut it is a windproof and water repellent jacket with, on the bike, removable sleeves. If you can handle the cold start you could save weight by packing your sleeves into a check point box. Just remember check point four’s boxes depart overnight; so if you make the wrong choice and pack your sleeves in it you could be in for a cold first 140 kilometres. A vita-tube/buff for the day and fresh one packed into your night time transition box is the way to roll. And if you struggle with cold ears you should also consider a Trans Baviaans branded peak cap/casquette to wear under your helmet. 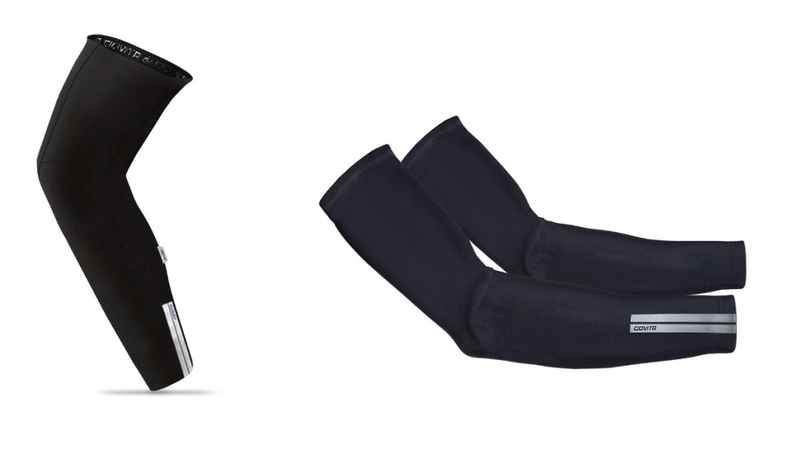 Though Ciovita don’t produce them, yet, overshoes are also a winner. They’ll keep the icy wind off your toes. Long finger gloves are likewise a must, though unless you really struggle with the cold you probably won’t need proper winter riding gloves. 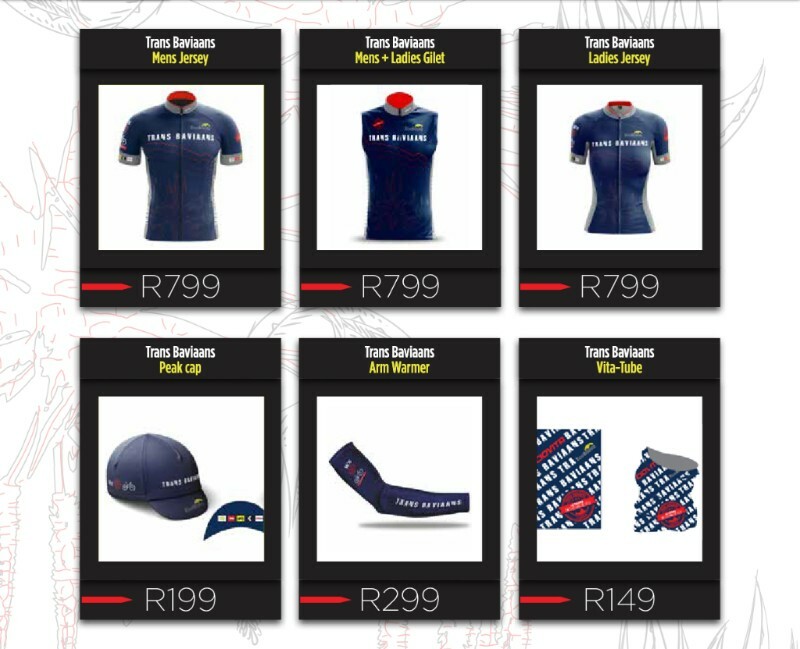 Live the Trans Baviaans off the bike or show your support for the riders taking part by rocking out post-race, or during if you’re a super supporter, in a Ciovita Trans Baviaans Hoodie or Soft Shell Jacket. 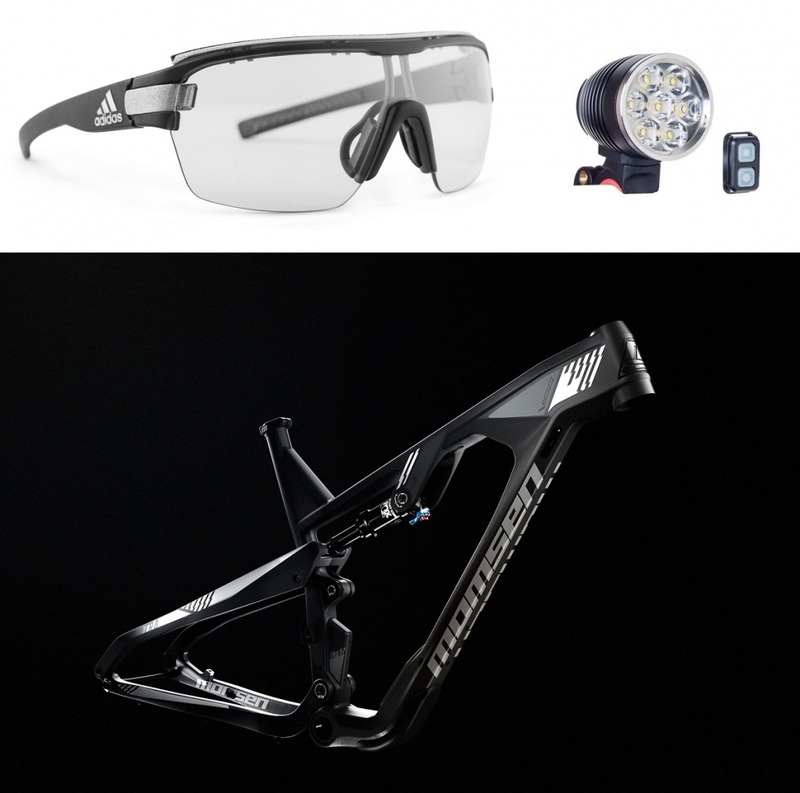 At registration for the Trans Baviaans in Willowmore on Friday you’ll also be able to purchase sunglasses from AXUM SPORT – we strongly recommend a pair with photochromic lenses which start completely clear, so you can wear them throughout the night too – and Extreme Lights. We sincerely hope you are not panic buying lights at this point in time, but if you are give Extreme Lights a shout; they’ll be able to sort you out. 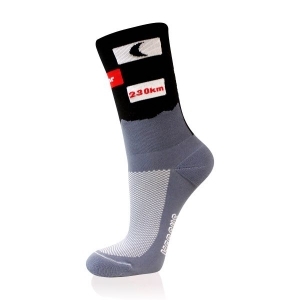 Socks from Versus Socks, Ride Farr goodies seeing that you will be riding FARR, last minute stuff from Cycleworx. and some great memorabilia Trans branded products all over. Also on display will be a range of Trans Baviaans proven mountain bikes from Momsen Bicycles, including the all new Vipa Ultra. On Saturday the 11th of August just over 1 250 riders will line up for the Trans Baviaans Race, in the 15th edition of the toughest team single stage MTB race in the world. Headlining the field are past champions, members of the South African team to the World Marathon Championships and the newly crowned South African marathon champion. Mountain biking fanatics will be able to follow the action, as it unfolds live, on the race’s social media handles and the event website: www.transbaviaans.co.za. The 2018 Trans Baviaans will feature a number of familiar faces at the sharp end of the field including Neill Ungerer, Yolande de Villiers, Mike Posthumus and Timothy Hammond. Photo by Jacques Marais. 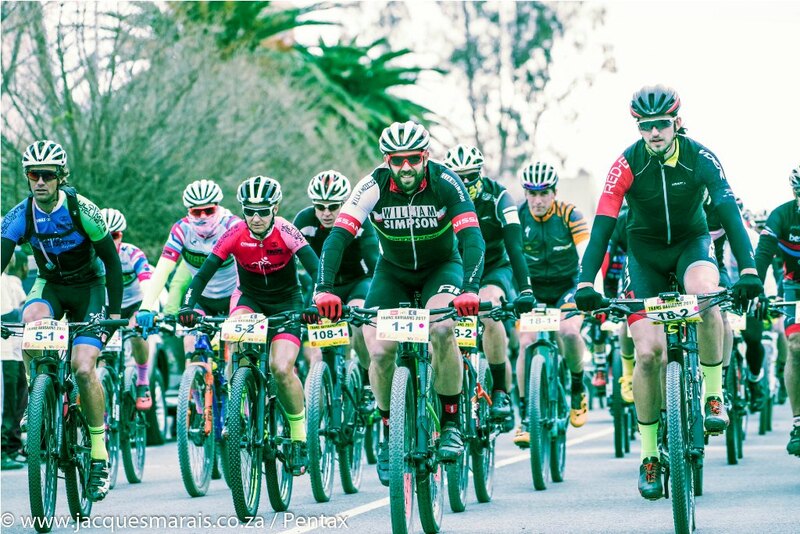 The men’s race is always fiercely contested at the Trans Baviaans with pre-race favourites and the inevitable dark horse team or two duking it out over the 230 kilometre long course. The 2018 field of favourites includes defending champion and current record holder Timothy Hammond, South African marathon champion Gert Heyns, the perennial nearly men of the Trans Baviaans Hanco Kachelhoffer and Pieter Seyffert, the 2017 dark horses Hansie Joubert and Jaco Ferreira, and a series of experienced campaigners including Riccardo Stermin, Adreas Studer, Mike Posthumus, Derrin Smith and Ben Melt Swanepoel. Given their recent results it is hard to look past Heyns and Arno du Toit, who will be riding as DSV Pro Cycling, for the title of favourites. Heyns was crowned South African marathon champion in July has ridden the Trans Baviaans before, but only socially, while his teammate Du Toit is making his debut. “I don’t really see the national jersey as adding any extra pressure as I feel me and Arno (du Toit) are still very new to this racing format,” Heyns said ahead of the race. “We have a lot to learn so in a way I don’t think we should necessarily be considered as favourites. The Trans Baviaans is very different to any other marathon race and I don’t really know what to expect, but I’m looking forward to my first race in the new jersey” he concluded, playing down his and Du Toit’s chances. Sarah Hill and Theresa Ralph have their sights set on beating their 2017 winning time by at least an hour. Photo by Jacques Marais. A pair who calmly own the pre-race favourites tag are the Insect Science/Garmin team of Hammond and Swanepoel. “I do feel a bit calmer with each year I race the Trans Baviaans, I know what needs to be done now. That being said, it doesn’t make it any easier on the day” confessed the course record holder and defending champion. “This year has an incredibly strong field which is exciting so I don’t think we will be the targets specifically. It’s the type of race where you should ride your own pace, if you let someone else dictate your pace your wheels will fall off later on. Jaco (Ferreira) and Hansie (Joubert) showed that last year when they nearly rode back to us in the final 20km’s” Hammond elaborated. 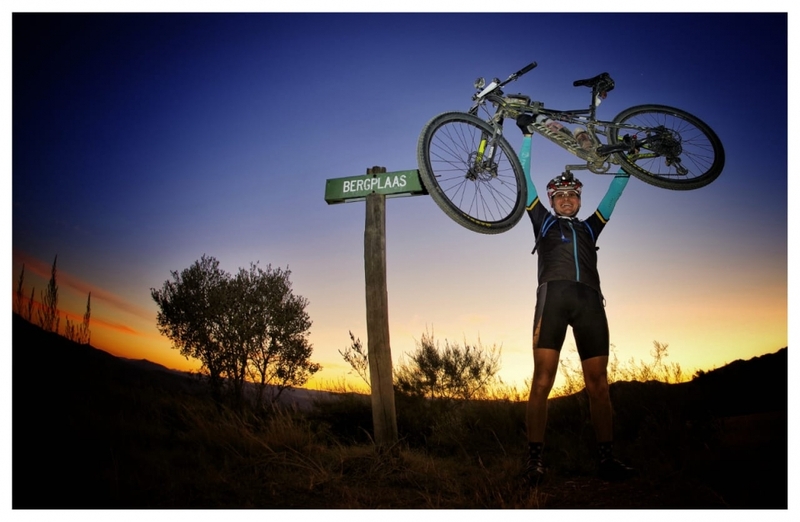 Gert Heyns will be riding the Trans Baviaans competitively for the first time this year. Photo by Jacques Marais. A quartet who know all about the challenges of managing the physical, psychological and especially mechanical difficulties of the race as a team are the Ellsworth ASG squad of Kachelhoffer, Seyffert, Armand Swanepoel and HB Kruger. 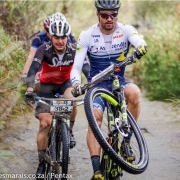 Three of the four completed the Trans Baviaans together last year and the addition of HB Kruger, who has been selected to represent South Africa at the Marathon World Championships in September, has further strengthened the team. 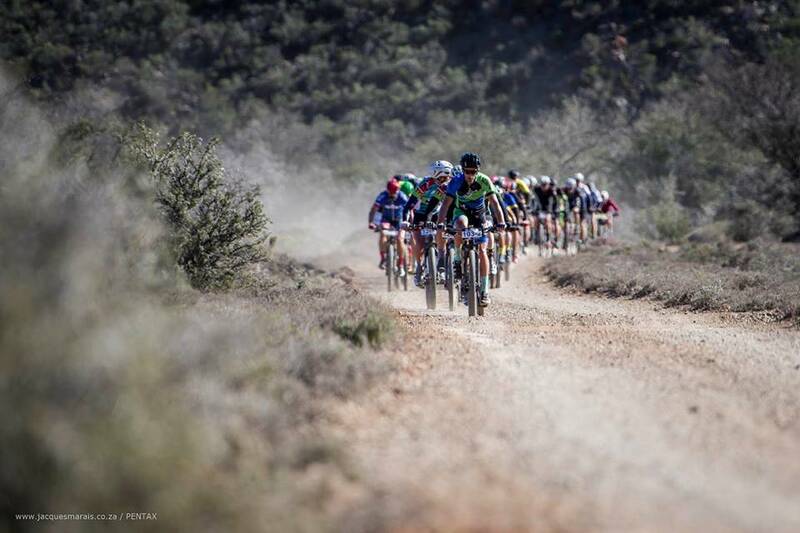 “Trans Baviaans being a 230 kilometer MTB race is all about tactics. It starts with who you select as a partner. This year we will be a four-man team,” Kachelhoffer stated. “It’s the first time HB (Kruger) will do the race, but after his second place finish in the African jersey competition at the Absa Cape Epic, we are confident he will be a big asset to our team. Last year we got a puncture and lost valuable time. Though we know having four riders in a team, means we have to look after eight wheels and the chances of a flat wheel are greater; but in the same breath, having four riders also means we have more depth should conditions on the day demand more team work” the Ellsworth ASG rider expounded. The 2017 runners up Joubert and Ferreira come into the race with more attention focused on them, but also with more experience and better preparation. “Fitness most certainly plays a role, but it becomes a mental game as the distances increase” Ferreira responded when asked how he and Joubert manage to compete with full-time elite riders. “It’s about how well you pace yourself and manage your body throughout the entire 230 kilometres, compared to only a ‘sprint’ 50-80km event. Knowing the route most certainly adds an advantage as well” he smiled. Yolande de Villiers and Neill Ungerer are no strangers to the top step of the mixed category podium. Photo by Jacques Marais. 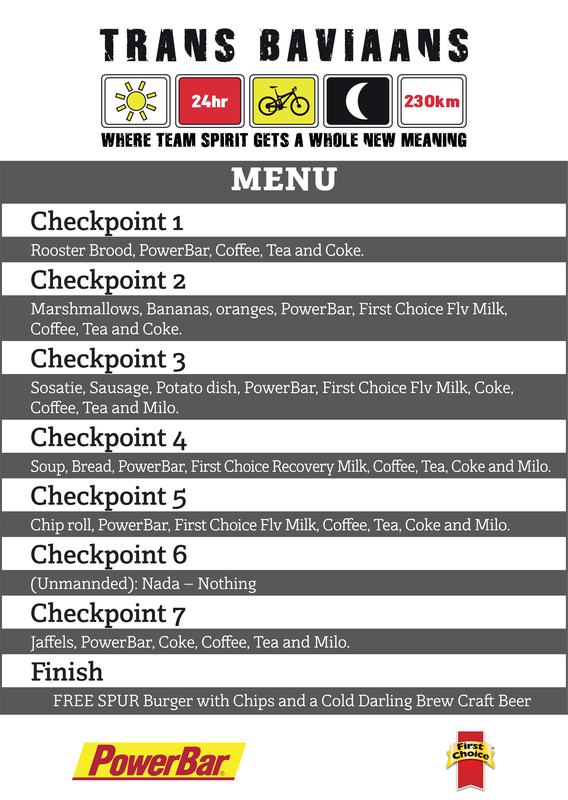 Hoping to exploit their experience and route knowledge to the full will be the PowerBar team of Stermin and Studer. The pair has won the Repeat multiple times over the last few years, but work schedules have never allowed them to match themselves against the more competitive field of the Race. It will be interesting to see if their familiarity with the event provides them with a racing edge on Saturday the 11th. Another fascinating battle within the race is the one between coach and athlete, which plays out between Posthumus and Heyns. The Team William Simpson duo of Posthumus and Smith will be eager to out-do, the highly regarded sport scientist, Posthumus’s athlete Heyns and his partner Du Toit. “I also expect Derrin (Smith) and Mike (Posthumus) to be fast and I’ll definitely feel some pressure not to be beaten by my own coach” Heyns laughed. In the women’s race the defending champions Theresa Ralph and Sarah Hill, riding for Galileo Risk, are out to knock an hour off their 2017 winning time. 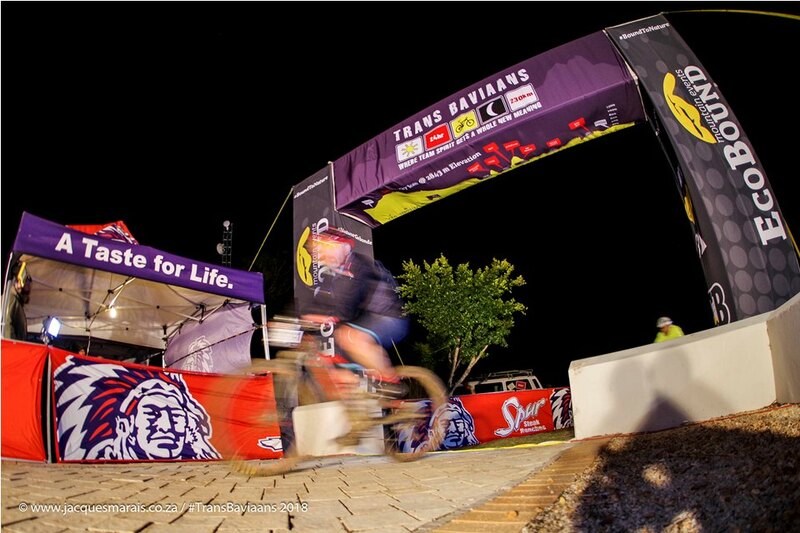 “Trans Baviaans is a magical race that is never the same” the three time winner Ralph said. “I have experienced a wet Trans, a dry Trans and a very bumpy Trans. All provided their own challenges. It is possibly those jaffels, at check point seven, that keep bringing me back though. This year Sarah (Hill) and I have a goal to better our time by an hour and hopefully we will do that as Sarah has grown from strength to strength over the past year and we will definitely be much faster” she elaborated. 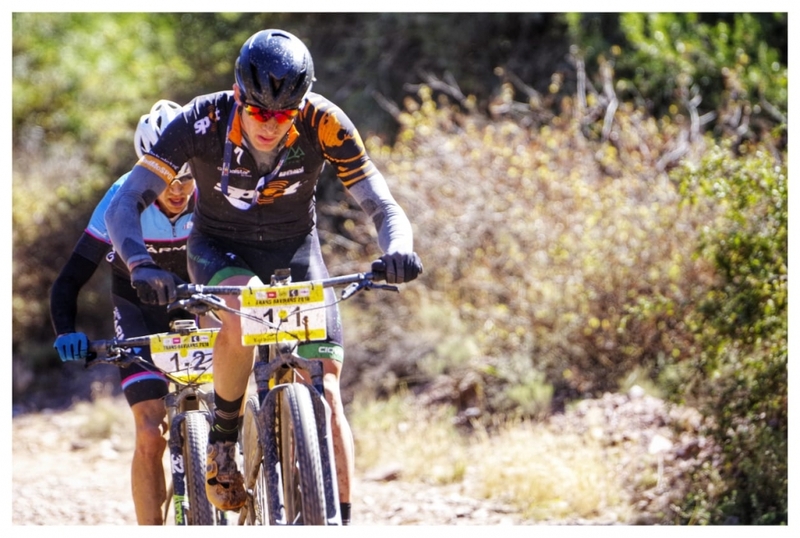 Hanco Kachelhoffer and Pieter Seyffert (in the Altech Autopage kit) placed second in the 2016 Trans Baviaans and fifteenth last year after significant tyre related drama. Photo by Jacques Marais. As in the women’s race the mixed category sees one team stand head and shoulders above the rest as race favourites: the Ultimate Cycling Knysna team of Yolande de Villiers and Neill Ungerer. “The mixed category is very difficult especially for the woman” De Villiers, who was also recently selected to represent South Africa at the Marathon World Championships, revealed. “I am usually in my red zone all the way just trying to hold on to Neill (Ungerer’s) wheel. But I’m very fortunate to have Neill as a partner, because he is always looking after me asking me if I am all right and if the pace is good. Communication is very important and telling each other when you go through a bad patch” she advised to less experienced Trans Baviaans riders. 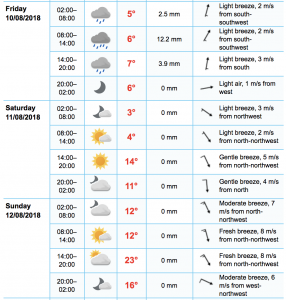 Racers and riders hoping to simply finish in a good time alike will be pleased to know that the weather conditions for the Trans Baviaans Race are looking advantageous for a fast time. 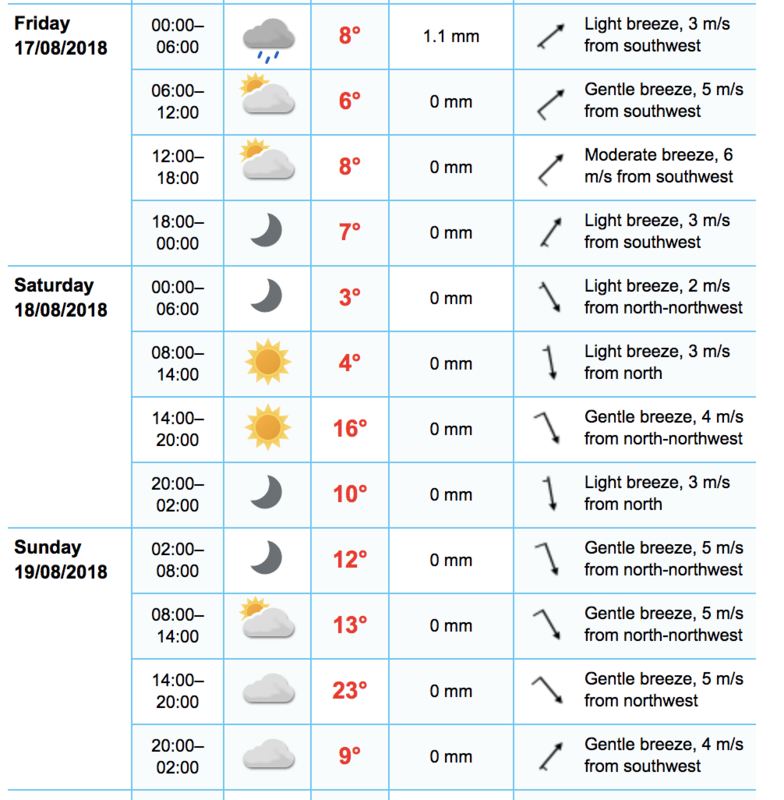 There is no rain predicted throughout the event; while in Willowmore and the Baviaanskloof the expected temperatures range from 5 to 17 degrees centigrade, with a light to gentle breeze from the north west blowing throughout the morning and afternoon. In the evening once the teams have crossed into the coastal region approaching Jeffreys Bay the mercury is predicted to read between 18-14 degrees, with a light tail wind blowing from the north east. The famously powerful Mike Posthumus will be teaming up with Derrin Smith as Posthumus takes one of his charges, Gert Heyns. Photo by Jacques Marais. 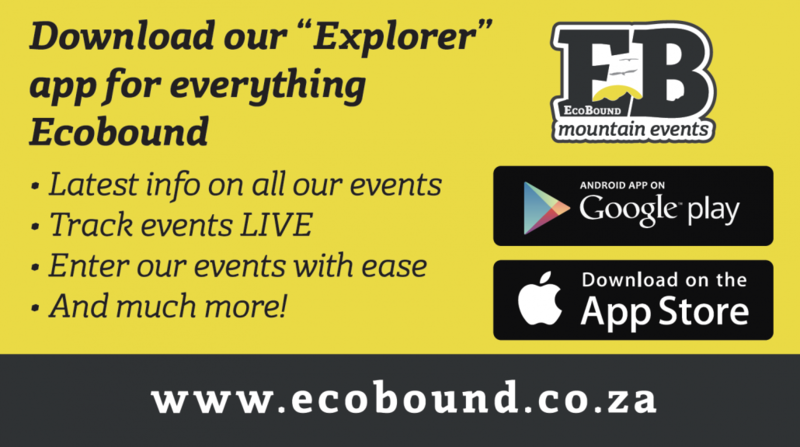 Riders are encouraged to keep an eye on the race’s social media channels and the EcoBound Explorer mobile application, for iPhone and Android devices, for updates on the road and weather conditions closer to the time. While mountain biking fans are reminded that they will be able to follow the action live on the race website, www.transbaviaans.co.za. Alternatively they can share in the Trans Baviaans experience by liking the Facebook page, Trans Baviaans, following the Instagram handle, @transbaviaans, and the EcoBound Twitter handle @EcoBoundMTB. Saving energy and hiding from the wind is the aim of the game in the first 100 kilometres of the Trans Baviaans. Photo by Jacques Marais. Dit is sulke tyd! Hierdie is ons laaste nuusbrief voor die groot dae. Hierdie is van toepassing op altwee die naweke se events! Mails have gone out to all teams, on “event info” from our system by now, with everything you need to know, so this is just a quick summary! We are Baviaanskloof bound and won’t make anymore changes to entries, this can now only be done at Race Registration. Signed – Waiver Of Liability And Indemnity Forms. Win a Brand New Vipa ULTRA! It is now become tradition for Momsen Bikes to give away a bike at the Trans Baviaans. 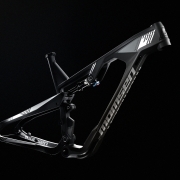 This year they are offering you a chance to win a Vipa Ultra Frame Kit (There are only 3 of these bikes in the country) or a complete Vipa Race One bike, you choose! You need to be a participant of the Trans Baviaans 2018. Follow this link to an online survey you need to complete. Lucky draw to take place Live after the second event on Facebook! 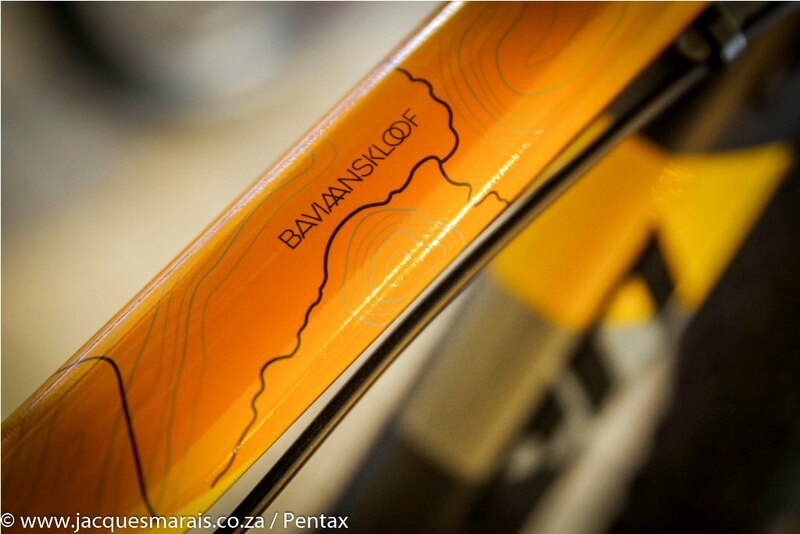 The guys over at PowerBar has decided to offer a new challenge this year with the Trans Baviaans! Instead of the King and Queen of the mountain, we will offer a Segment challenge on the infamous railway line of the Trans Baviaans route. Cash Prizes to the fastest Male and Female on the segment and then a PowerBar hamper to the fastest lady over 45 years! PowerBar hamper to the fastest male over 95kg’s! 5. Check out the live leaderboard on the website and app. Augustus is om die draai en dit beteken ons gaan die maand van die Trans Baviaans binne. Hierdie jaar is ek net so senuweeagtig soos meeste van julle, want vir die eerste keer in die 14 jaar bestaan van die Trans Baviaans gaan ek hom ook trap, meer van dit onder in hierdie nuusbrief. Registration opens on Friday from 13:00 at the Town Hall in Knysna road (Main Street) in Willowmore and will continue untill 20:00. Please note: There will be no registration on Saturday morning. Remember:- Containers for Checkpoint #4 (Bergplaas) must be loaded on Friday before 20:00 at registration. Containers for Checkpoints #2 & #3 will only be loaded on Saturday from 7:30-8:30. Trucks for these containers will be parked next to the Engen Garage in Willowmore. Please Note: All the information required for the race will be provided at the Race Registration. Allow enough time to familiarise yourself with the info before the start – especially the route as it will not be marked! CSA License, we are a CSA sanctioned event and you need a license to ride and qualify for results. We will not sell day licenses at the event. You will be asked to sign that you have received your Race Package, containing below items. Should you have any questions after you have read your information, please remember to ask this at the Race Briefing, Friday night at 19:00 (NG Church Hall). We have recently launched a mobile app for both Android and IOS devices and will bring you the latest from the event on it! From live tracking, leaderboard updates and all the social media and video inserts! Team members go download the app and complete your profiles and upload your profile pics please, each team captain (main member) will be able to insert a short description of your team that will be displayed on the app and website! Then tell your supporters and family where to go to follow you! 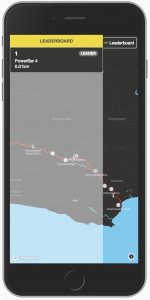 Support Drivers, the app will have links to checkpoint navigation and give you all the info you require to do your job as well as connect you to what is happening! Don’t panic Trans Baviaans is just around the corner! 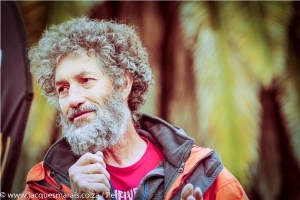 Wikus van der Walt and his famous beard, have been at the forefront of the South African mountain biking community since the inaugural To Hell and Back stage race in 1995. Photo by Jacques Marais. 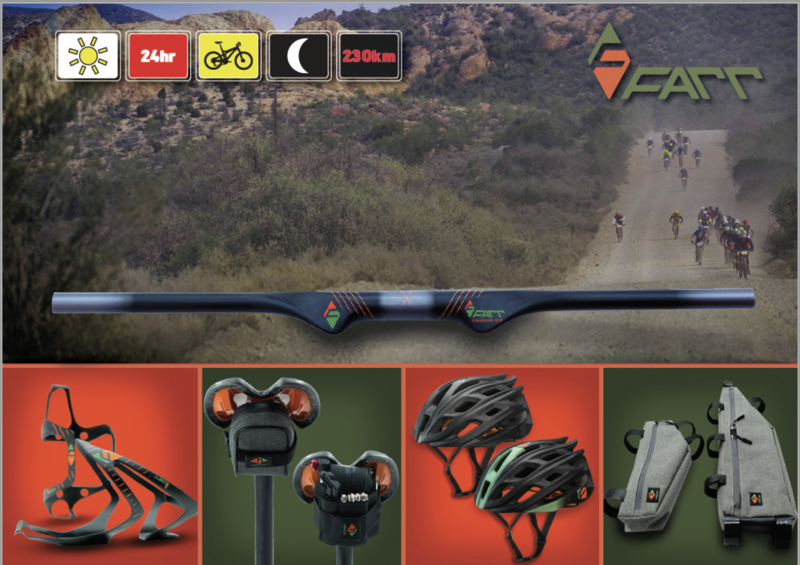 https://ridefarr.com This is a limited offer only! Wikus van der Walt is the patriarch of the EcoBound family. From left: William, Alexander (on William’s shoulders) Marelize, Nina, Terence, Maia (being held by Terance), Wikus, Elmarie, Carmen, Lukas (being held by Zane) and Zane . Photo by Jacques Marais. 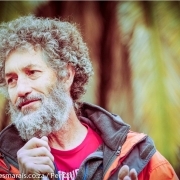 Wikus van der Walt – the founder of EcoBound Mountain Events, the organisers of the iconic To Hell and Back and Trans Baviaans mountain bike races – will be making his Trans Baviaans debut in the 15th edition of the famous ultra-endurance race, when he rides the Repeat on the 18th of August. 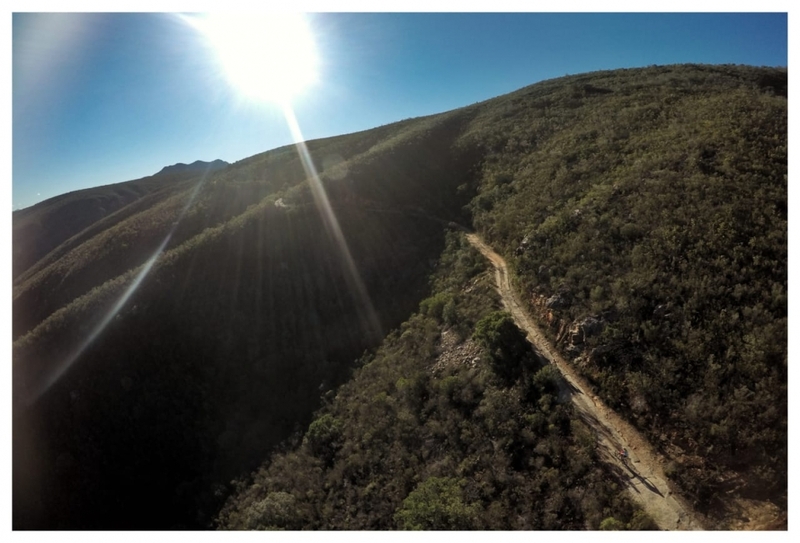 To make his traverse of the Baviaanskloof World Heritage Site and the 230 kilometres of the race route a little easier van der Walt will be taking part on the new Momsen Vipa Ultra. Over the years van der Walt has poured his passion for mountain biking into event organising and ensuring others get to experience his twin loves for the sport and the environment in which it takes place. Since 1995, when the first To Hell and Back took place, he has been a pivotal figure in the local mountain biking community. While his three daughters were at school van der Walt and his wife, Elmarie, were exceptionally active in the organising of age group racing – particularly in the Southern Cape. 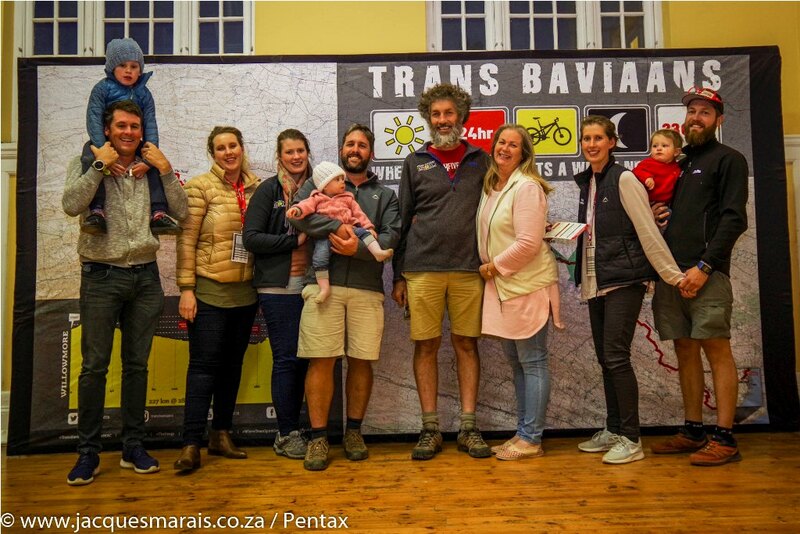 Now with the Trans Baviaans running like a well-oiled machine he can delegate to his trusted team of children, their spouses and long-time crew members, and take the opportunity to experience one of the events he created for himself. He will be setting out from Willowmore alongside his partner for the initial To Hell and Back trial ride, 24 years ago, John Sharples and MP Heyns, father to one of the race favourites Gert Heyns. 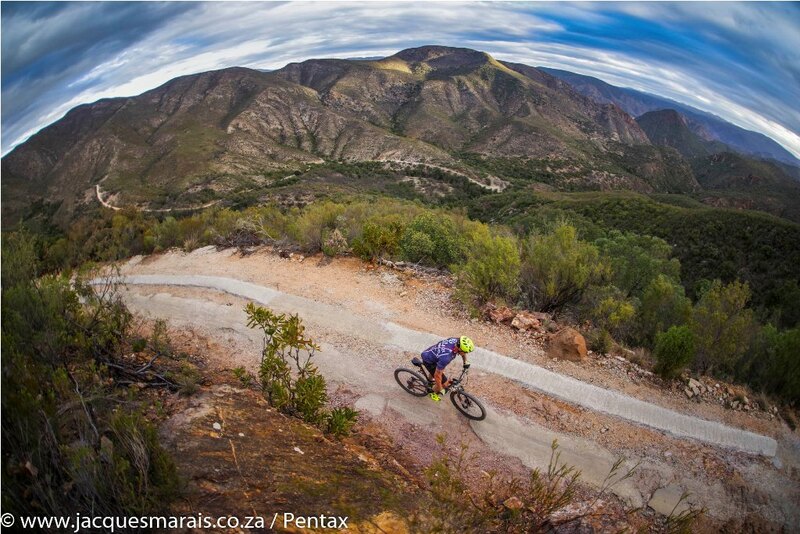 Do not be fooled into thinking that van der Walt is a stranger to riding a bicycle through the Baviaanskloof however. He is a firm believer in the principle that an event should never take in a trail he has not ridden himself. 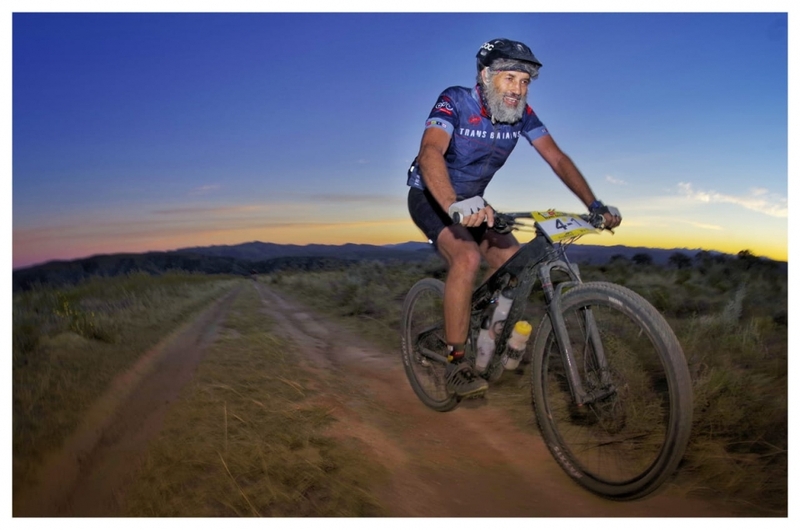 Over the years he has ridden through the Baviaans numerous times on reconnaissance rides and most recently while undertaking the Freedom Challenge in June this year; though that crossing of the Baviaanskloof was done in the opposite direction and on a heavily loaded bicycle. Those recent memories and his new purposely endurance-designed Momsen Vipa Ultra are sure to make his Trans Baviaans ride a far more enjoyable experience. Wikus van der Walt and his fellow Trans Baviaans riders will need to conquer the Mother of All Climbs en route from Willowmore to Jeffreys Bay. Photo by Jacques Marais. The production models of the Momsen Vipa Ultra have been kept carefully under wraps, but their predecessors the Vipa 2 proudly sported the contours of the Baviaanskloof on their top tubes. Photo by Jacques Marais. “After 15 years of organising the event, I look forward to taking part in my first official Trans Baviaans, to experience the highs and lows of the event with my fellow riders,” van der Walt said. 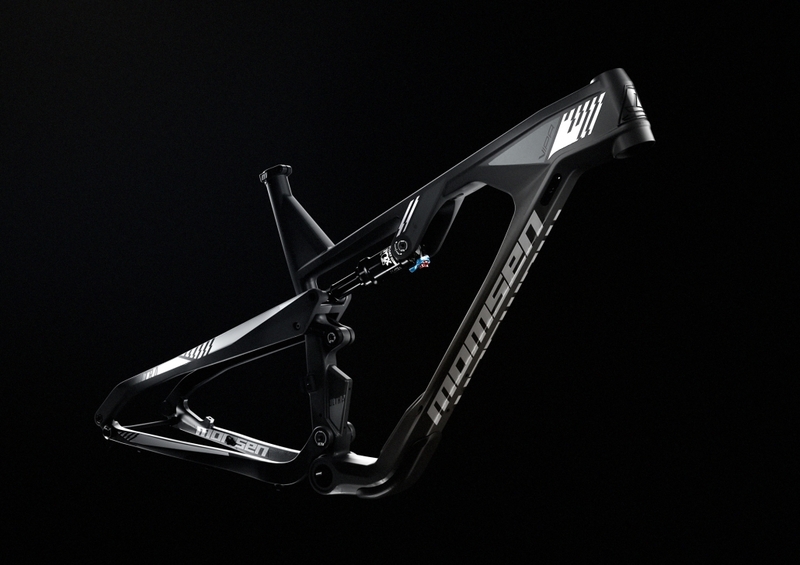 “I’m especially looking forward to doing this event on the brand new Vipa Ultra as it is a bike made and developed for this type of riding” he concluded. The 2018 Trans Baviaans takes place over two weekends in August, with the Race starting on Saturday the 11th and the Repeat the following weekend on the 18th. 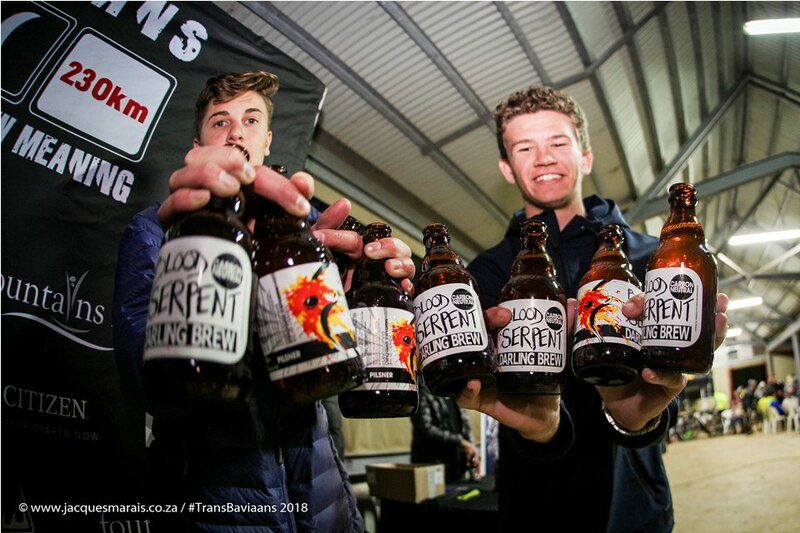 Mountain biking fans can follow Wikus van der Walt and his fellow riders’ progress throughout both events online at www.transbaviaans.co.za or on social media, by liking the Facebook page, Trans Baviaans, following the Instagram handle, @transbaviaans, and following the EcoBound Twitter handle @EcoBoundMTB.